What is Cost of Goods Manufactured (COGM)? 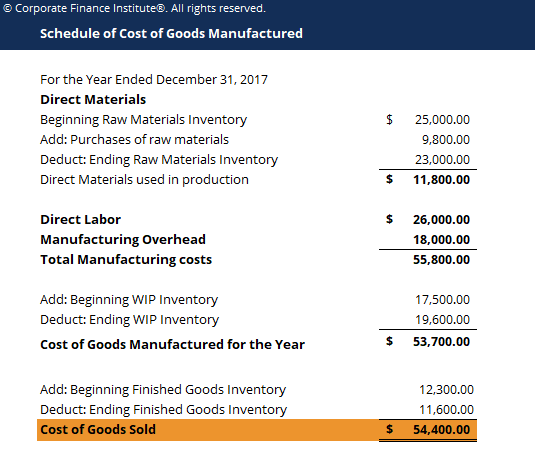 Cost of Goods Manufactured, also known to as COGM, is a term used in managerial accounting that refers to a schedule or statement that shows the total production costsAbsorption CostingAbsorption costing is a costing system that is used in valuing inventory. Absorption costing not only includes the cost of materials and labor, but also both variable and fixed manufacturing overhead. Absorption costing is also referred to as full costing. Under absorption costing, the following costs go into the for a company during a specific period of time. Just like the name implies, COGM is the total costs incurred to manufacture products and transfer them into finished goods inventory for retail sale. To learn more, launch CFI’s free accounting courses! With this information, we can solve for COGM, which is on the credit side of the WIP Inventory T-Account. To learn more, launch our free accounting courses! In order to determine the actual direct materials used by the company for production, we must consider the Raw Materials Inventory T-account. Raw materials inventory refers to the inventory of materials that are waiting to be used in production. For example, if a company were to make a raw material purchase for use, these would be stored in the debit side of the raw materials inventory T-Account. In addition, if a specific number of raw materials were requisitioned to be used in production, this would be subtracted from raw materials inventory and transferred to the WIP Inventory. Raw materials inventory can include both direct and indirect materials. Beginning and ending balances must also be used to determine the amount of direct materials used. Let’s also examine the following T-account. The raw materials used in production (d) is then transferred to the WIP Inventory account to calculate COGM. Determining how much direct labor was used in dollars is usually straightforward for most companies. With time logs and time sheets, companies just take the number of hours worked multiplied by the hourly rate. For information on calculating for manufacturing overhead, refer to the Job order costingJob Order Costing GuideJob Order Costing is used to allocate costs based on a specific job order. This guide will provide the job order costing formula and how to calculate it. As an example, law firms or accounting firms would use job order costing because every client is different and unique. Process-costing, on the other hand can be used guide. Finally, once all the individual parts are calculated and used to figure out the total cost of goods manufactured for the year, this COGM value is then transferred to a final inventory account called the Finished Goods Inventory account, and used to calculate Cost of Goods SoldAccountingOur Accounting guides and resources are designed as self-study guides to learn accounting and finance at your own pace. Browse hundreds of articles on important topics such as the income statement, balance sheet, cash flow statement, depreciation methods, how to link the 3 statements, debits & credits, journal entries. Finished Goods inventory, like the name suggests, will contain any products, goods, or services, that are fully ready to be delivered to customers in final form. The following T-account shows the application. Beginning and ending balances must also be considered, similar to Raw materials and WIP Inventory. With all the pieces together, we can put everything together to construct a full Schedule of Cost of Goods Manufactured and Cost of Goods Sold. Why is COGM important for companies? In general, having the schedule for Cost of Goods Manufactured is important because it gives companies and management a general idea of whether production costs are too high or too low relative to the sales they are making. For example, if a company earned $1,000,000 in sales revenue for the year and incurred $750,000 in Cost of Goods Sold, they might want to look at ways to reduce their manufacturing costs to increase their gross margin percentage. Comparatively, if another company earned $800,000 in sales revenue and incurred only $400,000 in COGS, even though the company’s sales were lower, their gross margin percentage is much higher, which makes the latter company generally more profitable. 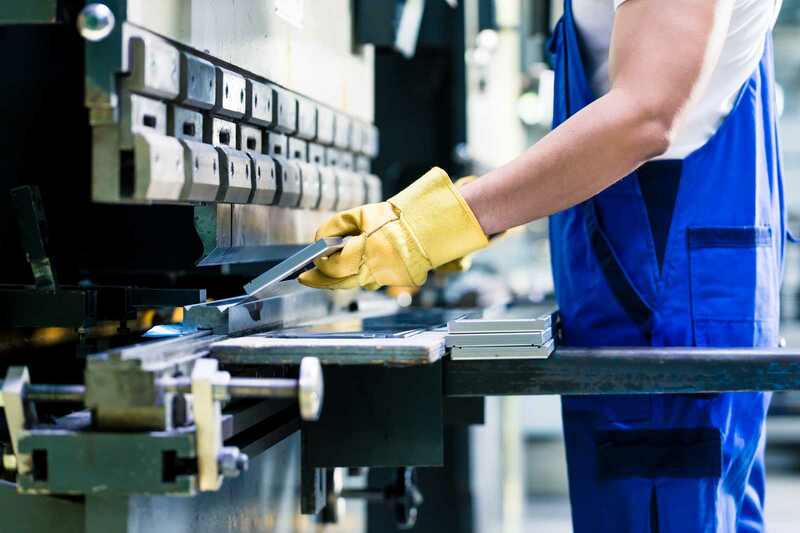 Therefore, by having a general picture of what the company is incurring in terms of manufacturing costs in all its specific components of materials, labor, and overhead, management can examine these areas more thoroughly to make any necessary changes to maximize the company’s net income.